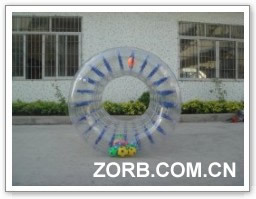 Water Roller: The Water Roller also named Inflatable Water Roller, water roll ball, Walk-on-Water Roller etc. 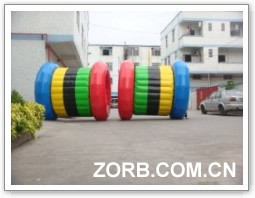 Water Roller is very popular between children and adults for sporting and recreation. 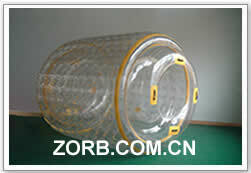 We can produce all kinds of the Water Roller according to your requests. 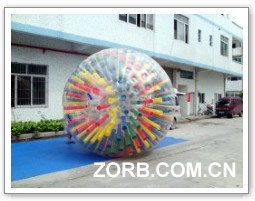 Climb inside this giant 6-foot sphere and rock-and-roll across the water. 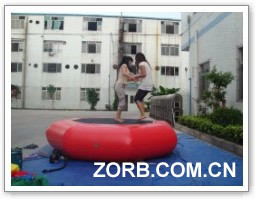 The inset cups on the outer surface help grip and paddle your way through the water as you spin the globe. Using two Nuclear Globes, you can engage in Nuclear Face-Off as you and an opponent compete to bump and bounce each other into submission. 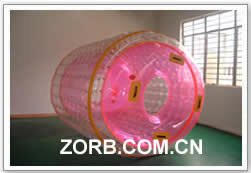 1) Dimension: with size of 2.0*2.4m, 2.6*3.0m. 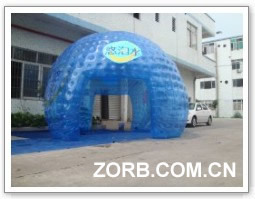 events, swimming pool and seashore scenic spot.